Want Results In 21 Days? 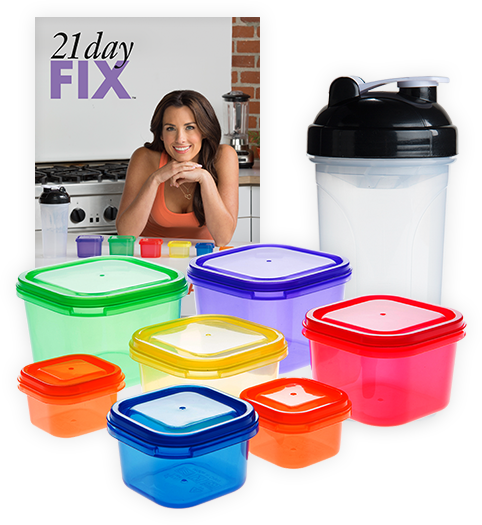 Get 21 Day Fix Challenge Pack! Get 21 Day Fix Today! The 21 Day Fix workouts are designed to burn a lot of calories in only 30 minutes. Any fitness level can do them. If you’re a beginner, follow the on-screen modifier. If you’re an advanced exerciser looking to shed those last few pounds, dial up the intensity and challenge yourself to push harder. Autumn Calabrese is a celebrity fitness trainer, busy mom, and national-level bikini competitor. She came up with the idea of a portion-control container system after watching a client eat an entire 1,300-calorie salad in one sitting because it was “healthy.” Autumn realized that super-sized portions were hurting her clients’ weight-loss success because they were eating too much without knowing it. So, she developed portion-control containers to help people see how simple it is to eat the right amounts and lose weight easily. And as a single mother, Autumn understands how hard it can be to fit exercise and healthy eating into a jam-packed schedule. She created short but effective workouts that take only 30 minutes a day, along with a simple eating plan that don’t require you to spend hours in the kitchen.